Sandwell Council denies claims that its housing payment policy is "discriminatory"
A Black Country council is facing a judicial review over its handling of a housing benefits claim. A disabled couple is challenging Sandwell Council's decision to offer a lower discretionary payment after including disability payments in their income. Lawyers representing them said it amounted to "disability discrimination". The local authority said it believed it was interpreting guidance "correctly". It follows changes to benefits introduced last year, which the government said were designed to make the system fairer. Council tenants Harry and Jane Hardy have two spare bedrooms and said they had seen their housing benefit cut as a result. Fiona McGhie, a lawyer with Irwin Mitchell, said the couple were now forced to use part of their Disability Living Allowance (DLA) to cover the shortfall in rent. She said DLA was designed to cover the "day-to-day" costs of living with a disability and should not have been included in the council's considerations when deciding the level of Discretionary Housing Payment (DHP). 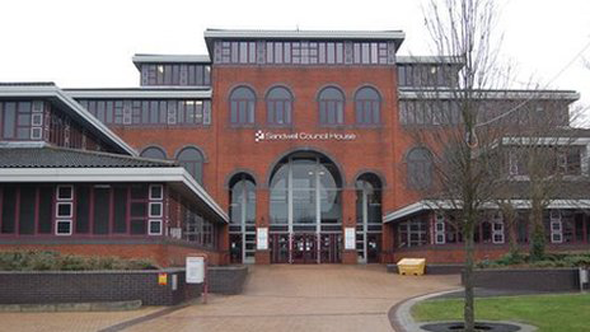 Sandwell Council's policy will be challenged at Birmingham's Administrative Court at a date yet to be decided. The Department for Work and Pensions (DWP) provides £25m per year in DHP to allow local authorities to provide support for tenants affected by the changes to benefits. Ms McGhie said Mr and Mrs Hardy were on the housing register and willing to move to a smaller property as long as it met their needs - such as not involving stairs or a long walk to the property. "Many local authorities are following similar principals to Sandwell, and we feel the judgement in this case may have a major impact on how councils assess benefits issues in the future," she added. A spokesman for Sandwell Council said: "We believe we have interpreted the government's legislation correctly, but we are giving this matter active consideration". In July last year, the High Court dismissed claims that the government's cuts to housing benefit discriminated against disabled people.